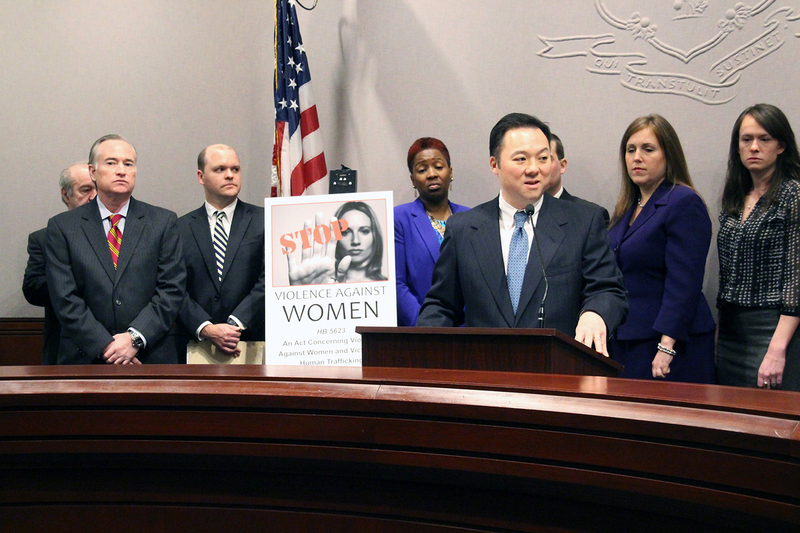 Rep. Riley, a member of the legislature’s Judiciary Committee, believes that violence against women and human trafficking are a scourge in our society that demands action on all fronts. His committee has developed a comprehensive approach that can help reduce the incidence of these terrible crimes. Temporarily removing firearms as part of a restraining order, as called for in the legislation, simply makes sense, particularly when you consider this is a volatile time period that everyone agrees is potentially the most dangerous for a victim. Connecticut averaged 14 intimate partner homicides per year from 2000 to 2012 and firearms were used in 39 percent of those 188 homicides, making them the most commonly used weapon to commit intimate partner homicide in Connecticut. Nationally, domestic assaults involving firearms are 12 times more likely to result in fatal violence than those involving other weapons or bodily harm. Women in abusive relationships are five times more likely to be killed if their abuser has access to a firearm. At least twenty other states, including Massachusetts, Texas, Utah and New York, have passed legislation authorizing or requiring the surrender of firearms at the ex parte stage.